The Worshipful Master, Wardens, Officers and Brethren of the St Cecilia Lodge invite you (under Rule 3) to attend a meeting to be holden on Friday 1st February 2019 at Bridgend Masonic Hall. South Wales Freemasons grant for Llanishen Fach Primary School. 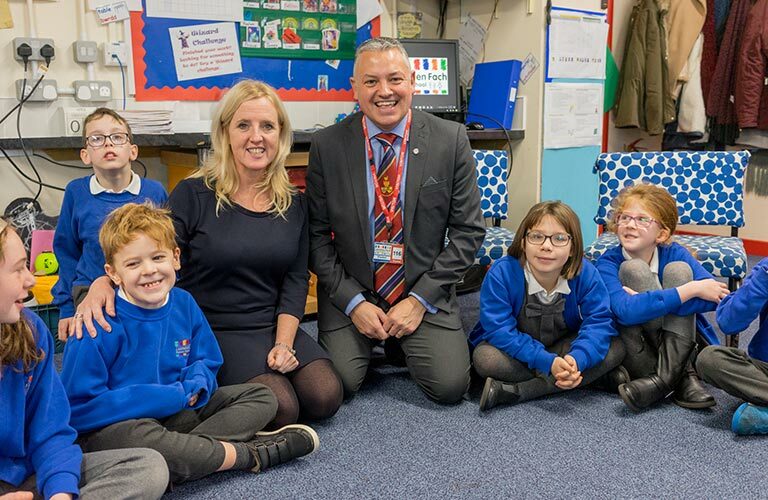 South Wales Freemasons are delighted to support Llanishen Fach Primary School by providing a Grant totheir Special Resource Base (Dosbarth Enfys). This amazing class is specifically for children who have been diagnosed with a broad spectrum of physical, medical and learning difficulties. The grant will assist the school in adapting the classroom as well as their resources to suit the children’s varying conditions. South Wales Masonic Bikers support Amelia Trust Farm. 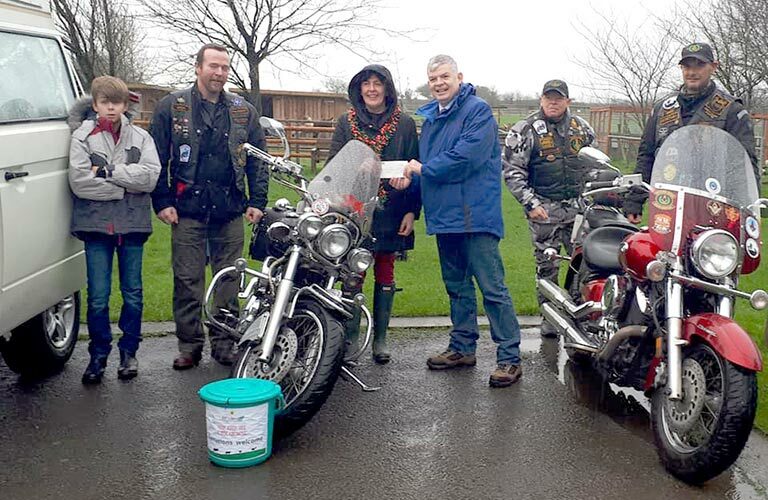 South Wales Freemasons Motorcycle Club, known as “Widows Sons”, recently donated £500 to the Amelia Trust Farm at their Christmas Farm Day. The money was raised through bike ride outs & events. Based in the Vale of Glamorgan, the Amelia Trust Farm is a countryside sanctuary for all to enjoy. As a registered charity, it has a long and proud history of providing therapeutic support to disadvantaged and vulnerable people in a Care Farm setting. Further to the changes announced to the Provincial Executive and Secretariat on Friday, 30th November 2018 the Right Worshipful Provincial Grand Master will be pleased to appoint W.Bro. Michael J. Lewis, PPrJGW as Provincial Assistant Grand Secretary. Brother Lewis will be Appointed and Invested as such at the meeting of Hendre Lodge No. 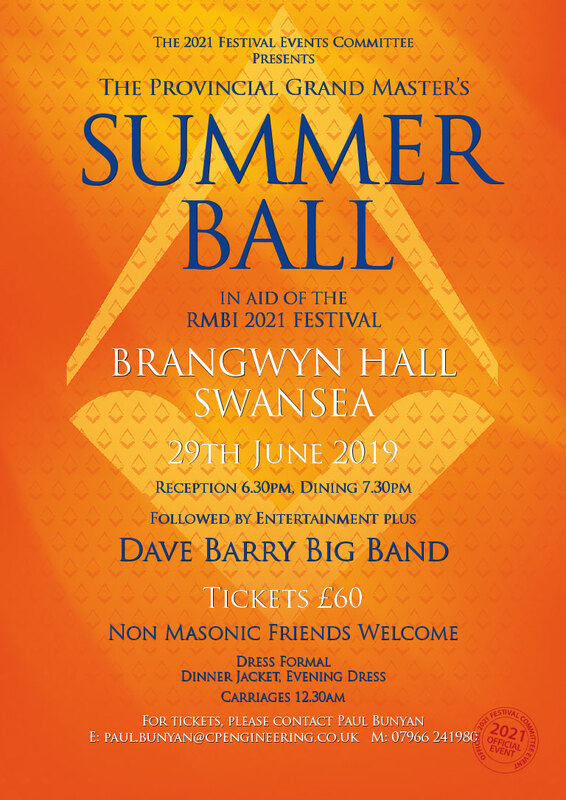 3250 to take place on Thursday, 24th January 2019 at the Masonic Hall, Cardiff. 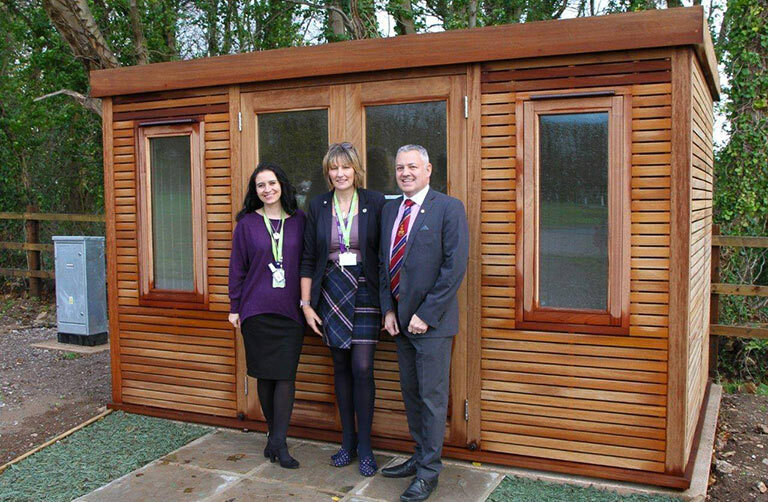 A new, specialist bereavement service for families who are dealing with the grief of losing a child, is being launched at Tŷ Hafan, the children’s hospice in Wales, thanks to a £20,000 grant from South Wales Freemasons. Tŷ Hafan, based in Sully, Vale of Glamorgan, offers comfort, support and care to life limited children, young people and their families throughout Wales. Did you know our Province received £1 million in charitable aid in 2014. That equates to £175 per subscribing member. Each of us should aim to give £3.50 a week or £14.50 a month to the 2021 Festival just to ‘keep up’.